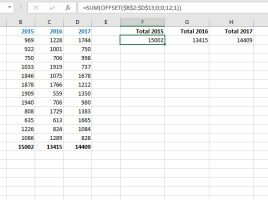 Slicers are great feature, but unfortunately they can not be used to filter traditional Excel reports. 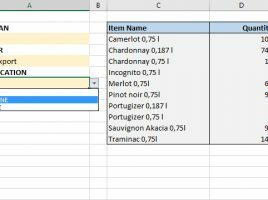 If we use the conditional aggregation functions, in order to calculate the desired values, as well as the data validation technique, we can make simple but effective filters by selecting the values from the list. 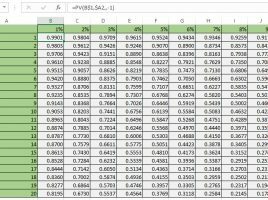 By selecting the criteria from the list, the automatic update of the values in the report is performed. Let’s see how this works! 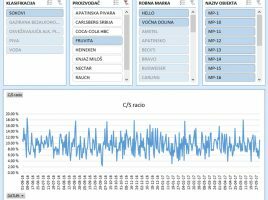 The Power Pivot add-in allows you to make different calculations depending on the time period in which the sales occurred, by writing formulas in DAX language. To use these features you need to have one of the latest versions of Microsoft Office Pro Plus. Since many do not have this feature, it remains only to deal with the traditional lookup functions about which application I’ll write in following „recipe“. How good are the sales results? There are many indicators that can be used to control sales, and one of them is a C/S ratio. It represents the relationship between the contribution (aka difference in price, earnings, margin) and the amount of sales. By monitoring this indicator we can track change of earnings through time and that can show us how well a trade margin is formed. How much will our money be worth in the future? 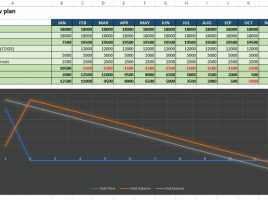 Calculating the future and present value of the cash flow is a complex mathematical process. Today it’s easy, because Excel has a class of functions that only deal with this area. Sometimes, in order to facilitate the assessment of the justification of the investment, the so-called “Financial tables” containing discount rates were used to calculate values for the given interest rates and time periods. Many companies that have excellent sales results are bankrupt because they do not have enough cash! Therefore, it is necessary to plan and monitor cash flows. This is not always easy, but with an experienced accountant and defined contracts with buyers and suppliers, it is possible to create a plan that allows us to track inflows and cash outflows and, based on this, we can have a better insight into the business.